The ideal compliment to your fleet. This new printer only version of the new Canon imageRUNNER ADVANCE 6555i is now available for users needing high speed/high volume mono printing without copy or scan features. Finished with a simple flat printer cover the PRT version can still accept additional paper decks up to SR-A3 size and the full range of finishing/stapling options. 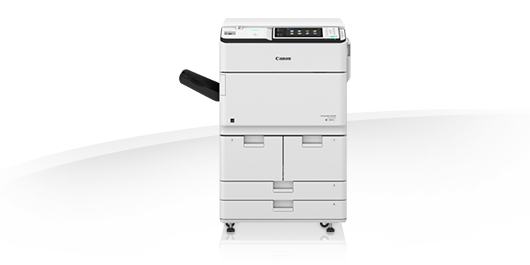 The New Canon iR ADV 6555PRT features Canon UFR and PCL print as standard with Adobe PS option. For more information on the Canon imageRUNNER ADVANCE 6555PRT please call our helpful sales team on 0800 1244 199 or email us.